The paintings start with a visit to the farm, where I love getting to meet and photograph the animals and hear stories about their lives. Back in the studio, I begin each piece with a detailed drawing, and then apply oil paint layer upon layer, over the course of weeks or months. I have between ten and twenty works going at any given point, each in its own stage of completion. My newest body of work is differentiated by an increased attention to detail of both subject and background, and a shift to smooth hardboard surfaces which take paint differently than the toothy grip of canvas. The elements of color, texture and brushstroke come together to create a narrative of a brief existence, allowing for a silent story to come to life. Elizabeth Kinahan received her Bachelors of Fine Art degree from the College of Saint Elizabeth in Morristown, New Jersey in 2004. The following year she packed up the car and headed west, in a move that would transform her creative process immensely. Although she had planned to move to Arizona, a stop in the town of Durango, Colorado became the beginning of a 13 year- and going- love affair with the high desert. Having known from a young age that her life ought to include direct proximity to nature, Elizabeth has found a fulfillment here that she never thought possible. She currently spends her days painting in a small cabin ten miles north of town, where she routinely gets visits from deer, turkeys, bear and foxes. 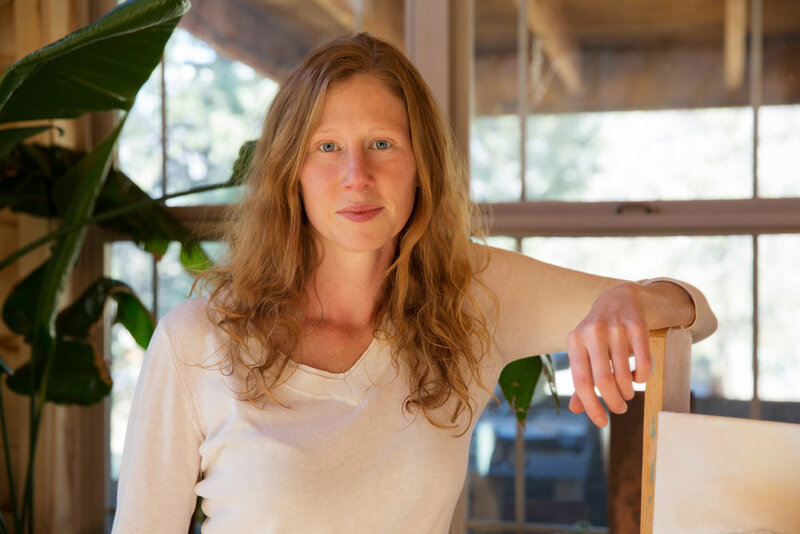 Elizabeth’s art strives to add beauty and compassion into the world, and serves to benefit organizations that rescue and protect both wild and domesticated animals.